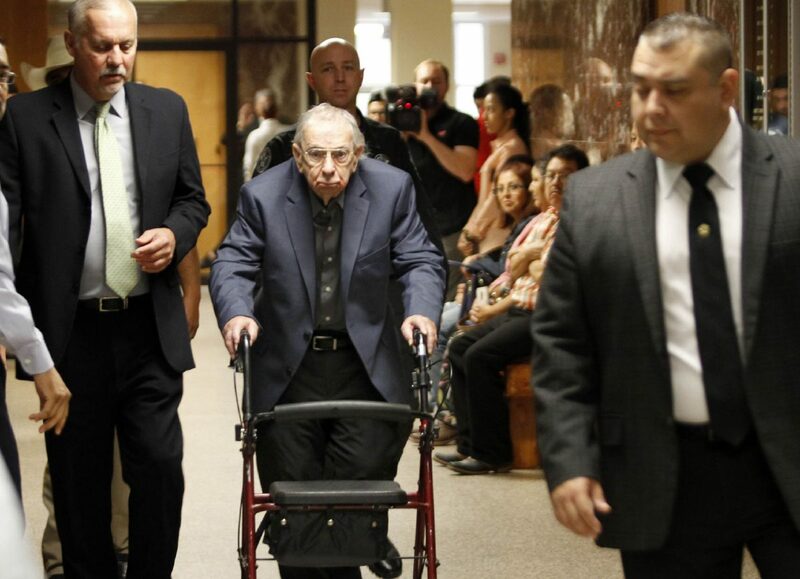 EDINBURG — The Catholic Church actively worked to conceal evidence incriminating a former priest for the 1960 murder of a McAllen schoolteacher, witness testimony alleged on the third day of the John Feit murder trial. Feit, 85, is accused of suffocating Irene Garza in April 1960 after she went to confession at McAllen’s Sacred Heart Catholic Church on Holy Saturday. An autopsy report found that the 25-year-old teacher had been beaten, raped while unconscious and asphyxiated. Investigators believe these events likely transpired in the church’s rectory. The police chief also noted that testimonial evidence from Dale Tacheny, the 88-year-old former monk who alleges that Feit confessed to committing murder, reveals that Garza was bound and restrained in the rectory, noting that Tacheny’s statements made it “clearer” what happened to Garza on Easter weekend. 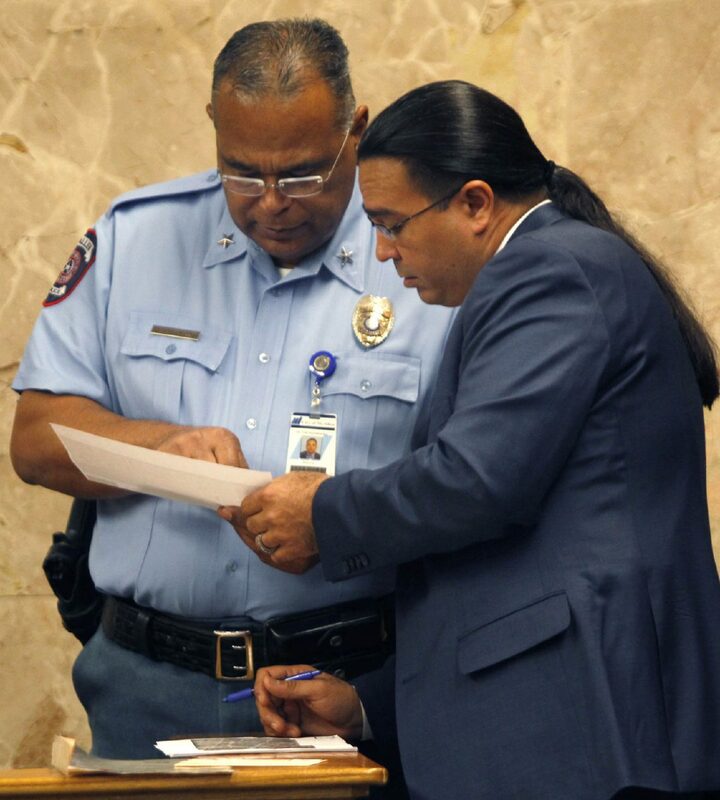 Rodriguez, however, added that “it was fairly clear from the outset” for McAllen police. He’s worked on the case since 2002 and has long believed there was sufficient probable cause to charge Feit with Garza’s murder. His testimony largely focused on what the prosecution called “the glaring difference” between two conflicting statements the then 27-year-old priest gave police on May 3 and June 14, 1960, in which he said an unknown woman had entered the rectory on April 16 of that year and had asked to give confession there. In the first statement, Feit told investigators another priest was present in the rectory and that he advised the woman to go to confession inside the church. Yet in the second statement nearly a month later, Feit said he had been alone in the rectory and had in fact taken her confession. Considered among the state’s key witnesses, Tacheny’s testimony Monday also proved significant, offering a second-hand account of Feit allegedly confessing to killing a young woman in South Texas in the early 1960s. According to Tacheny’s testimony, the confession occurred in 1963 after the church sent Feit to a Missouri monastery. Tacheny testified that his superiors informed him Feit had murdered someone, and said when he asked Feit why he was at the monastery and not in prison, Feit listed three things that had helped him avoid criminal charges: the church, law enforcement and the Seal of Confession. The woman was dead when Feit returned, so he dumped her body on the side of the road near a canal, Tacheny testified. Additional testimony from the former monk included insight on Feit’s demeanor during the alleged confession. Specifically, Tacheny said Feit did not express remorse or guilt for the crime, attributing it to his propensity to feel anxious at the sound of high-heeled shoes on the floor and his urge to attack a woman from behind. Still, Tacheny, who left the church a few years later in 1967, told jurors that despite being “greatly affected” by Feit’s confession he did not report the crime at the time. Upon realizing Feit would not be fit for the monastic life, Tacheny testified that he attempted to counsel the then-priest to modify his feelings and behavior toward women. This was “a process that went on for some time” before feeling comfortable about sending Feit “back in the world,” Tacheny said. Feit’s defense attorney, O. Rene Flores, underscored that Tacheny had made assumptions about the crime Feit had committed when Tacheny finally reported it to San Antonio police in 2002. These included Tacheny believing that the crime occurred in San Antonio, and that Feit had “bound and gagged” Garza and placed her in cellophane bag. In an effort to make his story more credible to police, Tacheny testified that he had attempted to identify the woman he believed Feit killed before contacting authorities. Flores charged Tacheny with being influenced by information he had gained from investigators and Garza’s family, particularly by Rudy Jaramillo, the Texas Ranger working the cold case. Jaramillo, who was seen outside the courtroom Monday, may be called to the stand Tuesday when testimony resumes.